A public conversation between a sitting Judge of the Supreme Court and an articulate journalist, well-known for his questioning skills, is indeed a visual treat. 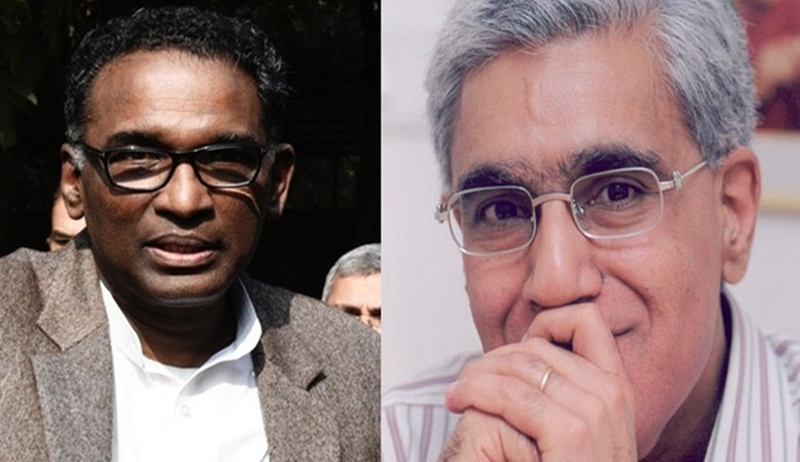 What makes the Justice Jasti Chelameswar-Karan Thapar conversation on Saturday difficult to unravel is that it leaves many things unsaid for the listeners to guess what Justice Chelameswar might have had in mind, while saying what he said. His most-unexpected remark was the one pertaining to the bench which got the former Tamil Nadu chief minister, late J.Jayalalithaa’s matter to decide. Justice Chelameswar was prompted to agree with the suggestion of Karan Thapar, who was curious to know specific instances when the CJI, as the master of the roster, posted certain matters to preferred benches.Justice Chelameswar agreed with Karan Thapar when the latter suggested whether the J.Jayalalithaa matter was one such, which was allotted to a preferred bench, that is, one which the CJI expected, would deliver a particular result, and which would be favorable to the Centre. Although Justice Chelameswar did not say so in so many words, this was the inference which one could make, given the nature of the conversation. As if to confirm what he said, Justice Chelameswar added that the delay in delivering the judgment in this case, did not contribute to the objective of efficiency – that is, expeditious disposal of an appeal, during the lifetime of an accused. But why was Justices Pinaki Chandra Ghose-Amitava Roy bench a preferred bench at that time? The bench comprising Justices Pinaki Chandra Ghose and Amitava Roy, began to hear the State of Karnataka’s appeals against the acquittal of Jayalalithaa and her co-accused, from January 8, 2016. Earlier, in 2015, Justice Pinaki Chandra Ghose and Justice R.K.Agrawal heard the matter three times. The bench reserved its judgment on June 7, after hearing it for 25 days. The judgment was delivered by the bench on February 14, 2017, after nearly eight months. Jayalalithaa died in the intervening period, that is, on December 5, 2016. The CJI, who as master of the roster, allotted the case to Justice Pinaki Chandra Ghose, was Justice H.L.Dattu. Justice Pinaki Chandra Ghose was No.12 in the Court’s hierarchy when the bench presided by him was allotted the case. Considered a sensitive case, Karnataka’s appeals against the acquittal of the accused, in this case, were ultimately heard and decided by Justice Ghose and Justice Roy, which went against the accused. Could the case have been heard and decided expeditiously, if heard by a bench, presided by a Judge other than Justice Ghose and Justice Roy? Is this what Justice Chelameswar meant on Saturday? Well, one can only speculate. Those familiar with the case feel that the allotment of the case to Justice Ghose, rather than to any of his seniors, did raise eyebrows at that time. Justice Chelameswar himself denies that he believes in the distinction between senior and junior Judges in the Supreme Court, and that the hierarchy among the Judges is relevant only for the purposes of Collegium, and not for allotment of cases. Indeed, Justice Chelameswar told Karan Thapar that instead of first five Judges who could constitute a bench to hear a sensitive case, it could be the last five. The point which he wanted to drive home was that the selection of Judges must be, according to some criterion, rather than pick and choose. Justice Chelameswar was also forthcoming on the likelihood of non-elevation of Justice Ranjan Gogoi as the next CJI, when the current CJI, Dipak Misra retires on October 2. He said that he did not believe that it might be possible, but if it happens, then it would only confirm whatever the four Judges stated at the January 12 press conference, as true. A critic may well ask what if the CJI Dipak Misra recommends Justice Gogoi’s name, and the Centre indeed appoints Justice Gogoi as the next CJI. Would that disprove whatever the four Judges claimed at the January 12 press conference, as untrue? A reasonable observer would still insist that on January 12, the concerns of the four Judges who held the press conference were genuine, but it is the very concerns and the public opinion which crystallized in favour of these four Judges, which will ultimately tilt the scales in favour of Justice Ranjan Gogoi, when the time for succession comes. There were a couple of questions, if asked, could have brought the best from Justice Chelameswar. One is about his recent letter to the CJI with copies to all the Judges, urging a Full Court hearing on the judicial side, about the Karnataka High Court Chief Justice’s move to probe a Judge, recommended for appointment to the High Court by the Collegium, on the instructions of the Centre. The questions that could have been asked are: How is a Full Court hearing held, what is the feedback of the other Judges, to his proposal, and what are his options, now that the CJI has been sitting on his demand for more than two weeks now. The other question that could have been asked is about the post-retirement career options for a Judge. Justice Chelameswar has made it clear that he is not looking for an assignment under any government after his retirement. But will he accept arbitration work, which is also seen as a factor which could compromise the independence of a Judge? The public conversation, which is likely to be debated for a long time to come, comes at a time when Justice Chelameswar is left with a few days, before he spends his last day in the court on May 18. Although he strictly avoided discussing the judgments which he authored, or the pending cases before him or his brother Judges, his views on other matters may indeed cast a shadow on them. One is the appointment of Judges, and the working of the Collegium – on which he was more than forthcoming – which has a bearing on his dissent in the NJAC judgment. In retrospect, considering the manner the Centre has been blocking the Collegium’s recommendations, does he still think that his dissent in the NJAC case – which is based on an implicit trust in the Government’s representatives – was valid? Well, one hopes he would, like Justice J.S.Verma, after his retirement, be reflective on his own judgments.